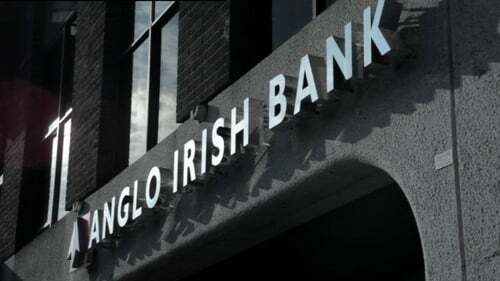 The Central Bank has said that the brand name of Anglo Irish Bank is expected to disappear in the coming weeks and its deposits will be moved to a separate entity. However, its loan book will be wound down over a number of years. In a statement, the bank said Anglo's depositors will remain fully covered by the deposit guarantee. The announcement comes a day after the Government and the EU announced that funding of €85bn would be provided for Ireland. Speaking on RTÉ's News At One, Governor of the Central Bank Professor Patrick Honohan said he discussed the winding down of Anglo with one of the international negotiators during the recent talks. Professor Honohan said he believed Anglo Irish Bank will be wound down early next year as part of the EU/IMF rescue for Ireland. He added that the memorandum of understanding relating to the rescue deal will give future governments flexibility and autonomy in dealing with their financial decisions. The document would include much detail on what will have to be done over the next year, but much less detail for the following years, he said. Mr Honohan said the rescue package will make it possible to achieve a rapid downsizing of Irish banks and put the banking system on a secure footing. The package includes €10bn to be immediately poured into banks to recapitalise them. A €25bn contingency fund is also available if they require more money in the future. Bank of Ireland has said that it will seek to raise almost €2.2bn of capital by February. Head of the International Monetary Fund's mission in Ireland Ajai Chopra has dismissed claims that the terms of the €85bn rescue package were too punitive. Speaking on RTÉ's Morning Ireland, Mr Chopra defended the 5.8% interest rate saying it lowers what Ireland will need to borrow. Mr Chopra said this was a good deal for Ireland and is better than Ireland could have got on world markets. He said a series of stress tests would be designed for the banks. When asked what would happen when there is a change of government following a General Election, Mr Chopra said the IMF would listen to any government and work with any government that comes into power. The IMF head said the fund did not propose the reduction of the minimum wage, but he held that it could help if it meant more people getting jobs. Ireland's deal with the EU and IMF has failed to ease worries that the eurozone debt crisis could spread. The main European stock markets fell sharply this evening, while the euro dropped to a two-month low against the dollar. The euro was trading at just under $1.31 this evening. In Dublin, the ISEQ index gave up earlier gains to end 11 points (0.4%) lower at 2,655. Banks were stronger, however, with Bank of Ireland gaining 16.3% to 31 cent, while Irish Life & Permanent surged 59% to 82 cent. Elsewhere in Europe, London's FTSE dropped 2% to close at 5,551, while Paris and Frankfurt also fell more than 2%. Meanwhile, the European Commission has published its autumn economic forecast in which it says Irish GDP will grow by just 0.9% next year. The Government's four-year plan published last week projects growth next year at 1.75% - almost double the EU rate. Strong economic growth is needed to cope with the additional borrowing costs which the State is taking on over the next few years. Overall the Commission says the European economy will experience soft growth next year, with a stronger rebound in 2012 - but it has sharply revised upwards it estimate for world trade growth from 7% to 12%. Politicians and observers will want to assess the impact on confidence in the wider euro area, especially on the cost of borrowing for Spain and Portugal. Bank of France Governor Christian Noyer has said he has 'no doubt' that the rescue package would be successful. Mr Noyer added that Ireland has launched 'extremely tough measures to restructure its financial sector'. The details of the financial support from the EU and the IMF were released ahead of the opening of markets in Asia. 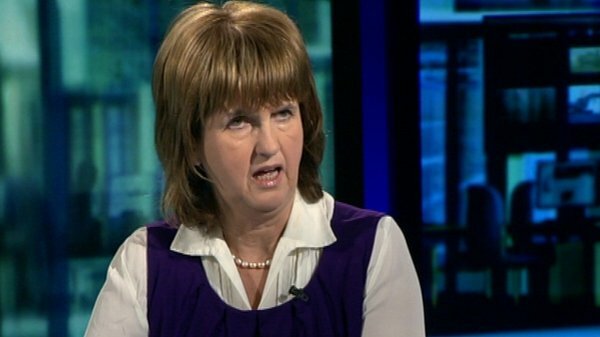 Labour Spokesperson on Justice Pat Rabbitte said on RTÉ's Today with Pat Kenny that the rescue package was a poor deal. Mr Rabbitte said it seems that the European Central Bank have been beating up on Ireland and are furious with the Irish. He said the new Government would be 'in a straight jacket' trying to deal with the situation. Pat Rabbitte said there would have to be a lot of confidential talking with the members of the present Government about what can be done. Transport Minister Noel Dempsey has defended the financial rescue agreement. Mr Dempsey said the EU and the IMF had facilitated Ireland, had made money available to the country, and had taken the country out of a situation where it was at the absolute mercy of the markets.